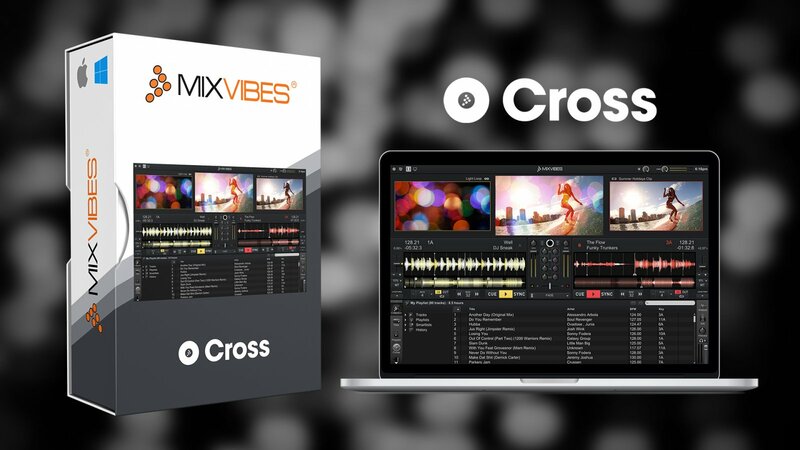 Cross is a digital vinyl and MIDI DJ software for Windows and MAC platforms. MixVibes drew from its experience in audio engine and vinyl control design to deliver a new pro-DJ product that brings more efficiency and simplicity to the mix. 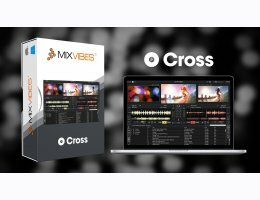 Cross delivers the best of MixVibes’ know how in DJ software in a solid and back to basics package! This software will satisfy the expectations of professional DJs who need a powerful and reliable DJ tool. - Powerful BPM detection: Cross DJ finds the BPM of your tracks and syncs them. You can also adjust grids for tracks with loose BPM. - Key detection & control: Create smooth, harmonic mixes. Compatible tracks are highlighted in orange. - Pristine sound quality: Cross supports all major music formats. - History & record – What did I play last night? - Automix – The music never stops. - Easy switch – Import Traktor and Virtual DJ libraries. - Unlimited music: No premium account needed. - Your SoundCloud account, in Cross: Log in to your account to have your sets, favorites, stream & tracks directly in Cross. - Fast loading: Almost as fast as locally-hosted tracks. - Retrieve BPM, Key & Hot cues: Cross remembers the track meta-data of the SoundCloud tracks you played previously. - Share your mix: Record your mix and share it directly on major DJ platforms. - DJing is about twisting knobs and pushing faders. Control Cross using one of the 80+ compatible controllers. Edit the mappings to make them your own. The system is plug and play. - Cross works with top controllers from Pioneer, Numark, Allen & Heath, Gemini, Denon, Vestax & more. - See the list of compatible controllers. The most advanced HID integration on the market. - All you need is 2 USB cables and your computer. - Every button of the CDJ is mapped. Browse and control your mix with the CDJ screen. - It’s like having every MP3 pressed on a record. - Cross can be controlled using timecode vinyl records or CDs. - Get the feel of real records with all the benefits of digital. - Plug & play system. - 1300 Hz timecode for accurate scratching. - Absolute and relative modes. - Requires 2 timecode records + soundcard. - Also works with CD. - Works with any soundcard. Even NI and Rane.